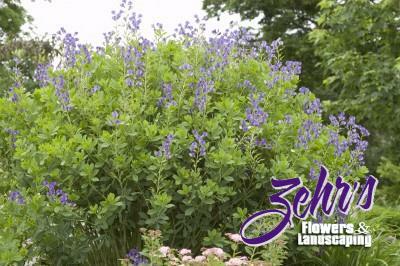 Violet-blue lupine-like flowers in late spring. Attractive blue-green foliage all season. Dependable, long lived plant for the back of the garden. Tolerates a wide range of soil types including very dry ones. 2010 Perennial Plant of the Year.